Alpine (91901), CA is located in East County about 25-30 miles from Ocean Beach. Residents of Alpine enjoy the scenic beauty, great climate and small town atmosphere while living amid the rolling hills which are covered with sage and chaparral. Some of the beautiful Alpine houses are located in a beautiful foothill village with many attractive homes and small ranches nestled among the sycamore, eucalyptus, sycamore, oak and pepper trees. Alpine Houses for Sale ranges from $175,000 to over a million dollars. 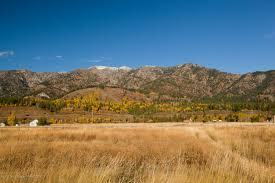 This community is unincorporated, and borders the Cleveland National Forest. It is only a 20-minute drive east to the mountain recreation areas of the Cuyamaca State Park and the Laguna Mountains. If you drive west, it’ll only take you a half hour to reach Downtown San Diego and the Pacific Ocean. There are also hundreds of small business firms, professional services and a variety of retail shops in this community. Alpine has two shopping complexes, the Alpine Creek Shopping Center and the Country Side Center along with the Viejas Casino & Viejas Outlet Center. One of Alpine’s neighboring communities is Lakeside, which is located 10 miles west. Every year this city hosts the Annual Lakeside Rodeo which has gained national recognition over the last 44 years. From a small hometown rodeo to being named the International Professional Rodeo Association Rodeo of the year four times, this popular event attracts thousands of people from all over East County. Even though Alpine is a smaller community, it does boast its own Unified School District. Located in this district are Alpine Elementary, Boulder Oaks Elementary, Shadow Hills Elementary and Joan MacQueen Middle School. People are attracted to this rural community not only because of its climate, but also because of the picturesque foothills. There you will find many attractive homes and small ranches which lie amongst sycamores, oaks, eucalyptus and pepper trees. Alpine is a comfortable, beautiful place to live. Be sure to check out all the Alpine, CA homes for sale below.